For more than 50 years, Northrop Grumman has developed and delivered game-changing technologies that have help ensure America’s undersea dominance and national security. As the company’s facility in Annapolis, Maryland celebrates its fifth decade, the team remains committed to providing high quality systems, affordably and on-time, in support of the U.S. Navy and other domestic and international customers. 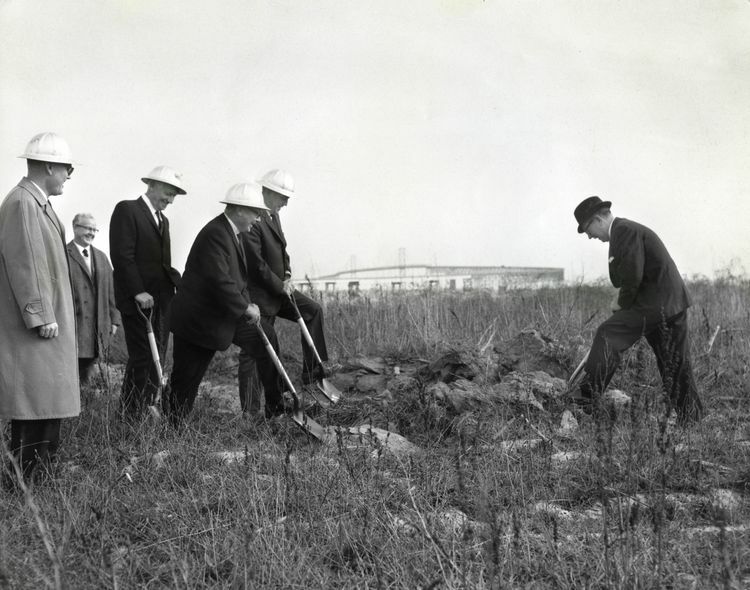 In February 1967 Westinghouse established the Ocean Research and Engineering Center as a new facility dedicated to naval and maritime innovation. In 1971, the site was renamed the Westinghouse Oceanic Division. This unit was part of the operations sold by Westinghouse to Northrop Grumman in 1996, and in 2006 this division became Northrop Grumman Undersea Systems. Located on the Maryland western shore of the Chesapeake Bay, directly adjacent to the towering Bay Bridge, the site enjoys a unique geographic location supportive of its undersea technology development mission. Throughout its history, Northrop Grumman employees have designed, developed, built, tested and supported some of the world’s most sophisticated undersea systems including submarine sensors, unmanned maritime systems, mine hunting systems, torpedoes and other capabilities that support or leverage the undersea domain. Northrop Grumman’s Annapolis campus is home to one of the world’s largest and most advanced research centers for future undersea warfare technology. The site includes an acoustic test facility, test pools, full ocean depth pressure chambers and flexible manufacturing capabilities for acoustic sensors and deep submergence systems. The site’s location and capabilities have led to numerous historic undersea developments, several of which paved the way for future programs and continue to drive innovation today. Among the more recognized historical accomplishments of the Annapolis team is the Deepstar 4000, which is based on Jacques Cousteau’s design of the Diving Saucer. The manned submersible, developed in collaboration with Cousteau in the late 1960s, was used by the U.S. Naval Oceanographic Office to study marine geology, biology and the physical properties of the water column in the Atlantic, Pacific and Caribbean. In 1968, the Ocean Bottom Scanning Sonar Side-Looking Sonar, having already successfully assisted in locating a lost hydrogen bomb off Palomares, Spain in 1966, was used to locate the USS SCORPION. In 1974, the Annapolis team was awarded the AN/AQS-14 contract to develop a high speed helicopter-towed mine hunting system, which was approved for military service in 1979.It was deployed in the Gulf of Suez in 1984, the Persian Gulf in 1987, and during operations Desert Shield and Desert Storm in 1990 and 1991 to locate and clear mines. Recent highlights for Northrop Grumman’s undersea team include the design, development and production of industry leading mine-hunting systems, submarine acoustic sensors and torpedoes. 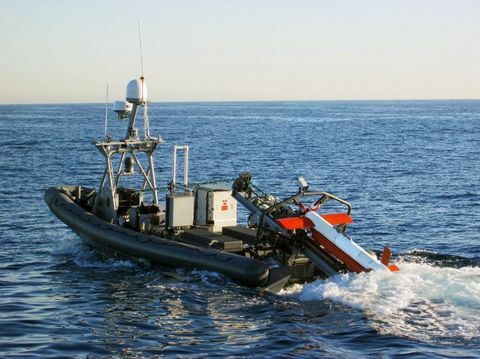 Northrop Grumman mine-hunting sensors include the AQS-24A Mine Hunting Sensor (sonar and laser), among the fastest operational mine hunting system in existence, and the AQS-24B High Speed Synthetic Aperture Sonar System, another very high speed operational Synthetic Aperture Sonar Mine Hunting System. Northrop Grumman is the original designer and the sole source provider of the Light Weight Wide Aperture Array sonar for Virginia class submarines. This is a discriminating detection technology allowing the U.S. to maintain true acoustic superiority and global undersea dominance. The company’s newest hull-mounted acoustic “Advanced Flank Array” product addresses next-generation flank array requirements. In 2013, Northrop Grumman re-entered the torpedo business, securing the U.S. Navy’s MK54 Light Weight Torpedo contract. This was followed by the win of two MK48 Heavyweight Torpedo component delivery programs in 2014 and most recently, the MK48 Heavyweight Torpedo Transducer Array/Nose Shell Assembly Production contract in 2017. The AQS-24 technology was used to conduct a rapid response search for large shipping containers containing potentially toxic chemicals lost off the side of a cargo ship. They were located within 72 hours before any contaminants leaked out. The same technology was also used following the TWA-800 crash to identify and prioritize wreckage recovery, and in response to a water taxi accident in Baltimore Harbor, where poor water clarity prohibited divers from locating the wreckage. 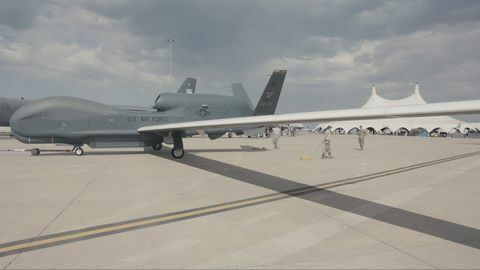 Throughout its history, Northrop Grumman has brought its unique capabilities to bear in assisting communities with environmental and humanitarian operations. The Northrop Grumman team performed a high-resolution sonar survey of Chesapeake Bay Oyster Beds for the Maryland Department of Natural Resources. This first-of-its- kind effort was conducted to learn behavioral patterns of the Chesapeake Bay’s oysters. Northrop Grumman supports the local community through numerous outreach programs aimed at schools and universities across the region. Each year, hundreds of students – from primary school to college age – are engaged through science, technology, engineering and mathematics (STEM) -themed sessions, including the Northrop Grumman High School Involvement Partnership (HIP) program, which offers job training to high school seniors. Numerous local charities and community philanthropic organizations are also supported each year by company volunteers and contributions. With its close proximity to the U.S. Naval Academy, Northrop Grumman has established a long and special relationship with the institution. The campus hosts Naval Academy classes and clubs for guest lectures, tours and demonstrations, which provide future naval officers with an overview of the systems and programs they may rely on during their careers. Additionally, the company has donated its Voyage Management System software used in navigation training and sponsors an annual award for the top midshipmen in navigation. Northrop Grumman has also become the Naval Academy Foundation’s largest corporate partner, donating more than $21 million in support of the Academy’s strategic priorities. Northrop Grumman is one of the largest private employers in Maryland with more than 10,000 employees. In addition to its support to the Annapolis area, the company supports other STEM initiatives in Maryland such as the High School Engineering Scholars program – which provides college scholarships to Maryland students pursuing STEM education degrees; a science, technology, engineering, arts and mathematics partnership with Baltimore City schools and the University of Maryland, Baltimore County; and the CyberPatriot high school cybersecurity competition, which involves some 4,000 schools internationally and in 2016 held its national finals in Baltimore.